Denon dominates the home cinema amp Awards category | What Hi-Fi? Two new products take home What Hi-Fi? Awards in this year’s home cinema amplifiers category, and both belong to Denon. The AVC-X6500H is the company’s update to last year’s high-end champion, the AVR-X6400H, and a number of small tweaks have led to considerable gains in performance. Denon’s 2018 model has added yet more lean muscle to its presentation without sacrificing any of the subtlety or sophistication that earned its predecessor a home in our reference A/V system. Needless to say, the AVC-X6500H is now our amp of choice at What Hi-Fi? towers. Building on the two Awards handed out last year, we’ve also made room between £500 and a grand to celebrate the copious talents of the AVC-X6500H’s smaller sibling, the AVR-X3500H. This midrange A/V receiver mirrors the advances made throughout the range, setting a new bar for the performance available from a home cinema amp under £1000. Again more powerful while retaining its forerunner’s acute sense of timing and gloriously expressive dynamics, it gave us little choice but to expand the category for its inclusion. 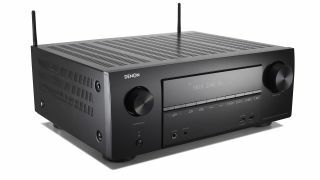 And at entry level, there could be no alternative to a repeat Award for Sony’s sub-£500 STR-DN1080. We are still astonished by the performance emitted by this budget gem, which outshines all but the aforementioned Denon among amplifiers even twice its price. It was the Sony that last year took on the coveted title of Product of the Year, but its competition has evidently since strengthened, and the only way to find out whether it retains its crown is by waiting until Wednesday 7th November for the announcement at our annual Awards ceremony. As ever, we’ll be keeping you in the loop via our website and social channels as well.